The Most Complete Dog Training Program. Any Breed. Any Age. Any Solution. What Dog Training Program is Right for You? Everything you want and need in one package. Private Lessons, Group Classes, Dog eLearning, and Customized Homework. We train your dog, and teach you how to follow through. We’re going to change the way you communicate with your dog. 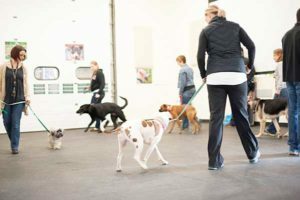 To do this, we’ve designed every group class with you and your dog in mind. Not every dog and not every person is suited for group classes. We can tailor private lessons to your individual needs. Are you bringing a puppy home soon? We have some great puppy training solutions to get you started off right. Who do you think is more proud? The best dog training programs start with a trainer getting to know you, your family and your goals. The Canine Training Center builds a partnership with you, to teach you how to train your dog. We teach you, and train your dog to surpass your goals for dog obedience training. Dog training is more than teaching your dog to sit, heel, lay down, and come to you. It is the foundation of communication between you and your dog, and allows you to build a stronger relationship with your dog. It creates clear communication so that you can stop yelling, stop getting frustrated, and teach your dog how they fit in with your family. Once this is accomplished, you can control dog aggression, calm your dog’s excited and nervous energy, and get them to demonstrate better manners overall. If you are looking to have fun with your dog, teach them basic through advanced obedience, modify negative behaviors, or any other type of training, we have the expertise to help you. What solution are you looking for? 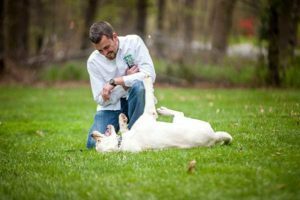 The Canine Training Center is based in Columbia, Maryland, which is conveniently located between Washington, DC and Baltimore, Maryland, but our unique dog training program has helped dog lovers from all over the United States to redefine their relationship with their dog. Contact Us and we’ll create a dog training plan to exceed your expectations. Our solutions will be the answer to your prayers!